Monica Crowley is an American conservative political commentator, talk radio personality, and author who is best known for her appearances on the Fox News. She occasionally contributes to the Washington Times and is also a member of the Council on Foreign Relations. Crowley left the Fox News after joining the Trump administration office in December 2017. She, however, withdrew her name after politico revealed her Ph.D. dissertation plagiarism issues. 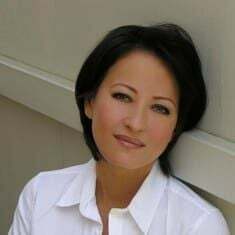 The renowned media personality also serves as a columnist for a number of reputed publications including the New York Post, the Washington Times, and the Wall Street Journal. She previously also hosted her own radio show called The Monica Crowley Show for several years. Active in the industry for years, she has earned $ million net worth and salary. Moreover, she also earned much from her published books. Monica Crowley was born Monica Elizabeth Crowley on September 19, 1968, in Fort Huachuca, Sierra Vista, Arizona, the United States of America. She is American and belongs to White-American ethnicity. Crowley was raised up in the Warren Township, New Jersey. She hasn't revealed about her parents and her early childhood to the media yet, however, as per She has a sibling; a sister, Jocelyn Elise. Crowley completed her high school from a local high school in her native town. She earned Bachelors of Arts degree in Political Science from Colgate University. She received Ph.D. in International Relations from Columbia University in the year 2000. While at the University, Crowley started writing letters to former President Richard Nixon who hired her as a research assistant in 1990. By that time, she was just 22 years old. Having been working with President, she gradually honed her skills in the media field. Crowley was the editorial adviser and consultant on Nixon’s last two books and after his death; she published two books on him titled Nixon in Winter and Nixon off the Record: His Candid Commentary on People and Politics. In the mid-90s, Crowley began to write columns for the New York Post and has also written for several other American national dailies like The New Yorker, The Street Wall Journal, LA Times, Baltimore Sun and The Washington Times. Crowley worked as the commentator for National Public Radio in its morning show in the mid-90s. 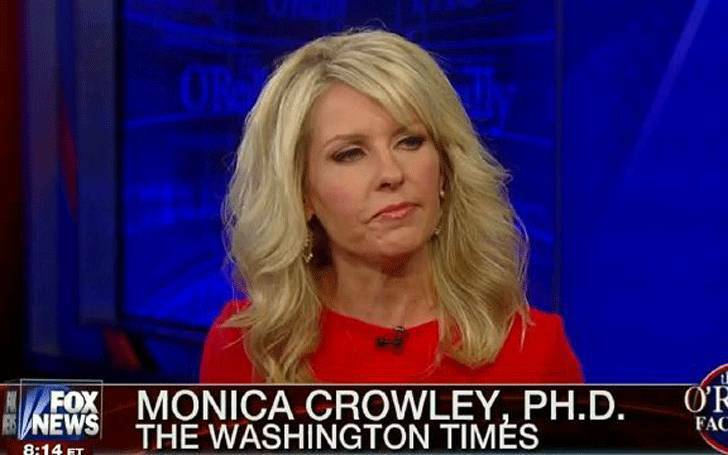 Crowley hosted her own show named The Monica Crowley Show from the radio station for several years. It was in 1996, that she joined at the Fox News Channel as a foreign affair and political analyst. In 2004, she joined at the MSNBC as a co-host and is serving in the network currently hosting the different shows. She was an occasional panelist on Fox News late-night satire show Red Eye w/ with Greg Gutfeld and appeared occasionally as a guest in several of the programs. Crowley also regularly worked as a guest host for Bill O'Reilly on his show The O'Reilly Factor before firing him from the Fox News. In December 2017, she terminated her contract with Fox News after being the deputy national security advisor for President Donald Trump's administration office. But, Crowley had to leave the senior job at Trump administration due to plagiarism. In March 2017, she joined the firm of Douglas Schoen as a part-time consultant, providing outreach services on behalf of Ukrainian political figure Victor Pinchuk. The conservative author was set to take over the White House's National Security Council as a senior director of strategic communication. But will not be joining Donald Trump's administration anymore because she was charged os plagiarism based on discoveries made by CNN's KFile division. Crowley is a beautiful lady with a graceful and pleasing personality. From her illustrious journalism career, she has earned a considerable amount of money which according to the Celebrity net worth is around $4 million. Her major source of income is her commentator career. Her yearly salary was to $200K during her tenure with Fox News. The journalist's main source of income is her profession as a veteran journalist. Crowley served as a contributor for Fox News and earns an average of $60330. While she was working as an online opinion editor for The Washington Times, her annual salary was $81249. And as a political analyst, she earns an annual salary of over $84,232. Nixon off the record (1996) = $0.10 in Hardcover and $1.34 in Paperback. Nixon in Winter (1998) = $1.99 in Hardcover. What the (Bleep) Just Happened? (2012) = $10.99 in Kindle and $0.25 in Hardcover. What The Bleep Just Happened: The Warrior's Guide To The Great Copy and Paste (2017) = $10.99 in Paperback. With such earning, she is maintaining her lavish lifestyle. Monica Crowley is an unmarried woman. Crowley is quite secretive about her personal life and prefers to keep her private life away from the limelight of media. However, she is rumored to dated director and producer, Bill Siegel. 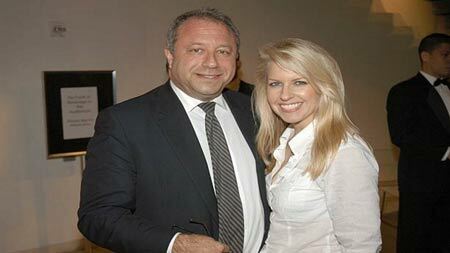 Their alleged affair hit the pitch after the duo spotted together at friend’s cocktail party. In 2011, it was rumored the couple got engaged but afterward, no news has come out. As per some online sources, the duo is in a relationship since 2007. But, officially, she never comments about her link-up rumors. 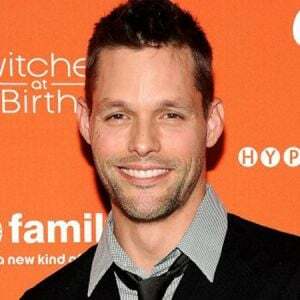 Once, Crowley was in the limelight for having an affair with Bill Seigal. They were even spotted together in the public places but there is no any proof about it. Some sources even mentioned him as Crowley's boyfriend. As of 2018, she keeps her personal life and relationship far from the limelight and audiences. With the limited information, she has shared about her love life, she might be possibly single in the present days. Monica Crowley's sister Jocelyn Elise. She is an associate professor at Rutgers University and both the sisters did the Ph. D. Degree in the same subject. She has published two books and numerous research articles on several news sites. She teaches Public Policy and Political Science at the Rutgers University. Elise is the wife of former Fox News contributor Alan Colmes. She was married to him from 2003-17. He died of lymphoma at the Memorial Sloan Kettering Cancer Center in Manhattan on 23 February 2017 at the age of 66. Conservative commentator Monica Crowley grabbed huge media attention making several headlines after she was accused of plagiarism on Richard Nixon column which she wrote for The Wall Street Journal. At the ending of 2016, Crowley started working as a deputy national security advisor for the National Security Council in the Trump administration. Following her plagiarism reports, she, however, left the position also. In 2017, Politico also claimed that her Ph.D. dissertation and found more than a dozen sections of text that have been copied, with exactly the same lines from other scholarly work without proper attribution. After that incident, she withdrew her name from consideration for the role of senior director of strategic communications at the National Security Council in the Trump administration. Since then, she has not involved in any media house. Additionally, she said that she decided to stay in New York to pursue other opportunities. Height: Monica Crowley stands at the height of 5 feet 2 inches (1.57m).